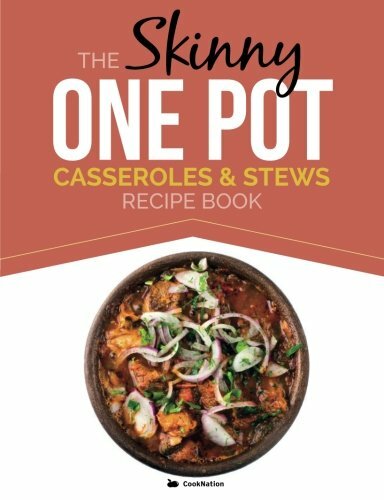 The Skinny One-Pot, Casseroles & Stews Recipe Book Simple & Delicious, One-Pot Meals. All Under 300, 400 & 500 CaloriesIn every country and culture around the world there is a variation of the one-pot meal. In Spain a paella, France a boeuf bourguignon, a Moroccan tagine, Italian risotto or a classic Irish stew. Whatever the geography, the concept of cooking delicious meals with minimal preparation, maximum flavour and less cleaning up is a winning combination. 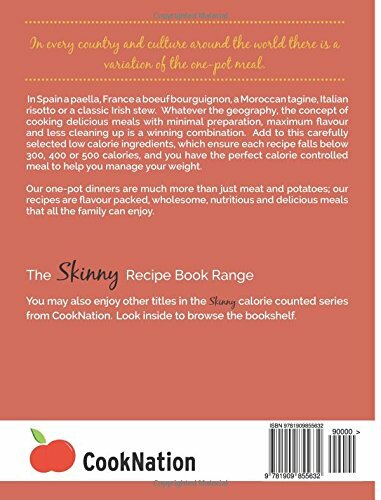 Add to this carefully selected low calorie ingredients, which ensure "each recipe falls below 300, 400 or 500 calories," and you have the perfect calorie controlled meal to help you manage your weight.Our one-pot dinners are much more than just meat and potatoes; our recipes are flavour packed, wholesome, nutritious and delicious meals that all the family can enjoy. "Recipes include: "Sweet Pork & Beans Family Chilli Northern Stew Barley & Beef One-pot Smoked Ham & Cream Cheese Risotto Honey Mustard Chicken Coconut Milk & Chicken Light Stew Creamy Butternut Squash Stew Stilton Puy Stew Sweet Potato & Green Bean Dhal Salted Cod & Cherry Tomato Stew Monkfish & Mushroom Stew Spanish Seafood Risotto And many more....You may also enjoy other titles in the Skinny calorie counted series. Just search 'cooknation'.